The ADS7945/6 are 14-bit, 2 MSPS analog-to-digital converters (ADCs), with differential and single-ended inputs, respectively. The devices operate at a 2 MSPS sample rate with a standard 16-clock data frame. The devices feature both outstanding dc precision and excellent dynamic performance; the ADS7946 is pin-compatible with the 8/10/12-bit ADS7947/8/9 devices. The devices include a two-channel input multiplexer and a low-power successive approximation register (SAR) ADC with an inherent sample-and-hold (S/H) input stage. The ADS7945/6 support a wide analog supply range that allows the full-scale input range to extend to ±5 V differential or 5 V single-ended. 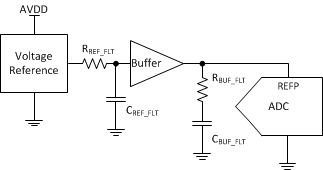 A simple SPI™, with a digital supply that can operate as low as 1.65 V, allows for easy interfacing to a wide variety of digital controllers. Automatic power-down can be enabled when operating at slower speeds to dramatically reduce power consumption. Offered in a tiny 3 mm × 3 mm QFN package, the ADS7945/6 are fully specified over the extended temperature range of –40°C to +125°C and are suitable for a wide variety of data acquisition applications where high performance, low power, and small package size are key.